JVP Committee (Jawaharlal Nehru, Vallahbhai Patel, Pattabhi Sitaramayya) 1948 To consider the recommendations of Dhar Commission. This committee also rejected the linguistic factor of reorganization of the states. Fazl Ali Commission 1953 December To visit the whole question of whether the linguistic basis of separation of states can be considered or not. Nanavati-Mehta Commission 2002 March 6 To probe the Godhra train burning incident of 27 February 2002. Its mandate was later enlarged to include the investigation of the 2002 Gujarat riots. Muddiman Committee 1920 To enquire about diarchy, instituted by the Montague-Chelmsford Reforms. 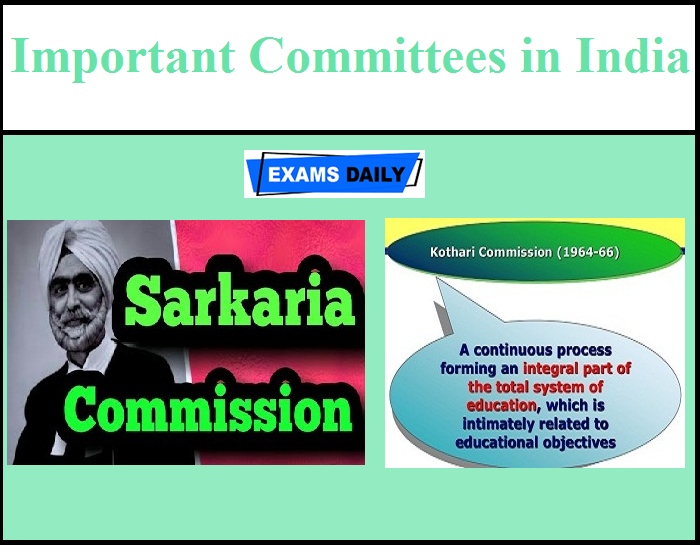 Lakdawala Committee 1989 To consider methodological and computational aspects of estimation of proportion and number of poor in India.